Not only plant biologists but also people from other field know about Daniel Chamovits. In my opinion, he made a tremendous effort to present plant science cool and easy for everyone through his book What A Plant Knows and two-part lecture series (Understanding Plants - Part I and Part II) on Coursera. He often tried to find the phenomena exclusive for plants and eventually realize plants and other system converge nicely. This statement reflects through his lab's work as they use both plant (Arabidopsis) and animal (Drosophila) model systems in their experiments. To me, it seems super cool! One of the current projects of his lab is to find phytochemical which has the role in combatting cancer and decipher their mode of actions. From the study of ancient times, it was known that cruciferous vegetables (cauliflower, broccoli, cabbage and so on) containing diet is healthy. In recent time, epidemiological studies suggest that high cruciferous vegetables containing diet reduce the risk of colorectal, breast, kidney, and upper digestive tract cancers. A study on non-tumorigenic and tumorigenic breast epithelial cells (MCF10A and MCF10CA1a, respectively) showed that I3C induced apoptosis in the breast cancer cells but not in the non-tumorigenic breast epithelial cells. The treatment of various cancer cells with I3C induces G1 cell cycle arrest or stimulates apoptosis or induces autophagy. The anticarcinogenic properties associated with crucifers are primarily attributed to the presence of glucosinolates. Breakdown of indole-3-ylmethylglucosinolate (I3M-GS), one of the most widely distributed glucosinolates, leads to the formation of indole-3-acetonitrile (I3N) and indole-3-carbinol (I3C). Interestingly, I3C has structural similarity with the master plant hormone auxin. Why I3C (Indole-3-Carbinol) is considered a hormone? The application of I3C leads to a loss of auxin Indole-3-Acetic acid (IAA) activity in the root meristem. I3C affects plant growth and development by directly modulating auxin signaling. I3C antagonized a number of auxin-induced growth phenotypes, including inhibition of root elongation, the formation of root hairs, and secondary root branching. I3C inhibits the auxin-dependent dimerization of the receptor with its substrates by competing with auxin for the same binding site in TIR1. 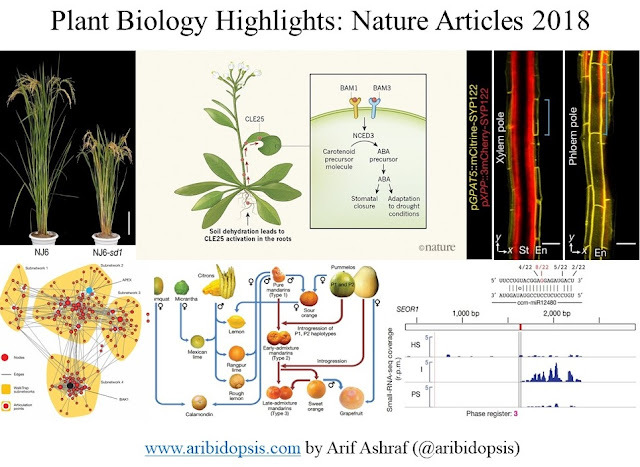 Using Arabidopsis as a model system, Daniel Chamovitz and his team showed that exogenously applied I3C rapidly and reversibly inhibited root elongation. The application of I3C led to a cessation of cell division in the root meristem. Following the I3C treatment, no CycB1-containing cells were detected, indicating a cessation of cell division. This conclusion is supported by transcript-profiling results showing the downregulation of cell cycle genes six hours following exposure to I3C. This result is also supported by Fluorescence-activated cell sorting (FACS) analysis of nuclei isolated from root tips. Plants do not develop metastatic cancer as mammals do, but plants can develop tumors. Plants and animals share numerous pathways and signaling cascades, and approximately 70% of the genes implicated in cancer have homologs in the Arabidopsis thaliana genome. As a result, the study of I3C in plants can have direct implications for further understanding the role of I3C and perhaps controlling cancer in humans. To read the latest article from Daniel Chamovitz's lab, follow the link below.